There are many places on Earth where you can regularly hear the screams of people unable to get a good signal. Hopefully the mobile networks will eventually figure that out. But Vodafone is clearly a little distracted as it prepares to create a 4G network on the moon. The mission to set up 4G on the moon is being started by German space company PTScientists, whose goal is to bring down the cost of doing research in space. 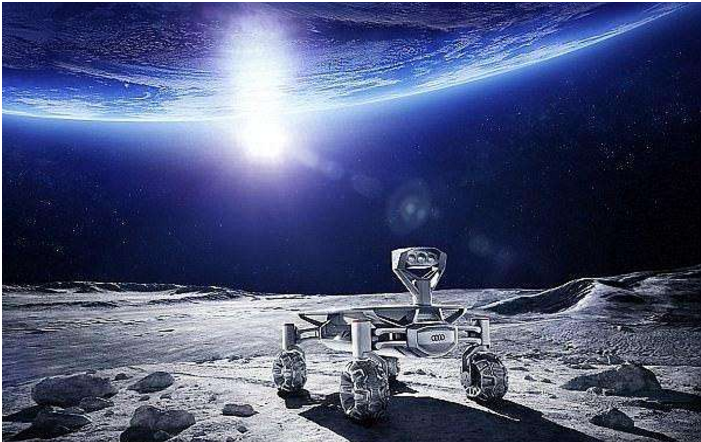 PTScientists has already developed a spacecraft capable of carrying 100kg of payload to the moon. The reason why a 4G network is being installed on the moon is data transfers. Two Audi lunar quattro rovers will also be landed there and intend to study NASA’s Apollo 17 lunar roving vehicle. The rovers will capture both HD video footage and scientific data, which can be transferred using the 4G base station and beamed down to Earth. The network will also allow the rovers to communicate with each other easily. Last year, China and Europe were in talks to build a moon base and I'm sure they'd be happy to arrive to an already working 4G network. Jeff Bezos is also planning moon deliveries by 2020 and a 4G signal should allow him to get those “your order is being delivered today” text messages through to Amazon Prime (on the moon) subscribers. 1. What makes people scream? A Being unable to get a good signal. B Being unable to fly to the moon. C Being unable to connect with the networks. D Being unable to get the cost down. 2. Why did PTScientists start the program? A To bring down the cost of mobile phone communication. B To bring down the cost of doing research in space. C To set up 4G on the moon and make the signal better. D To make doing research about communication easier. 3. What does the underlined phrase “beamed down” mean?